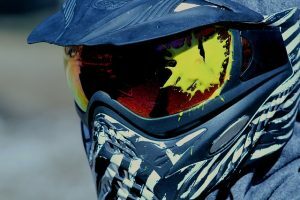 The first weekend of May, EC English Vancouver will host a special event: paintball. Do you feel like your classmates have been nagging you all the time or do you just want to cross swords with them for no particular reason whatsoever? This is your chance! On Saturday 10 am, Jonas will take you form school to surrey, where you’re going to lock and load. But don’t worry: this is not going to be all violent. Paintball is known for its excessive teamwork and cooperation. You’ll have to work together with your friends to avoid getting hit and win the game. If you’d like to learn English in a new and exciting way, come and get your tickets at the front desk on the second floor. They only cost 30 dollars each! Maybe, with your blood pumping adrenaline through your body, you might even learn some new words. You won’t be able to make it on Saturday? No worries! EC Vancouver English Center hosts numerous events every week to enable you to learn English in a unconventional manner. For all activities, please see EC Online.